12-pack emoji beach balls, each 12" beach ball deflated Inflatable beach balls are yellow with ..
Dimensions: 75" x 67", designed for ages 3+ Features 2 heavy duty handles Wide base for extra..
Bird Beverage Floats will add a little tropical scenery to your pool These unique beverage floa..
INCLUDES: a 3-pack: pineapple, lime, & watermelon inflatable drink holder STAY HYDRATED: ke..
FUN: Floating inflatable drink holder lets your drink lounge in the pool or hot tub alongside you.. Pink Flamingo Pool Float is a must have for a relaxing day in the pool. Float inflates to over five .. The Gigantic Unicorn Pool Float is a pretty big set up. Measuring over 4 feet wide once inflated, ju.. The BigMouth Inc Giant Watermelon Pool Float is THE ORIGINAL watermelon pool float designed and c.. The BigMouth Inc Giant mermaid tail pool float is the original mermaid tail pool float designed a.. Features:Recommended age: 3+ years 1.57m x 94cm Heavy-duty handles Repai.. Features:Recommended Age: 3+ years Inflatable armrests to provide support Additional stab.. Features:Recommended Age: 3+ years 2.80m x 1.57m x 46cm Two 3 interconnecting nozzles 2.. 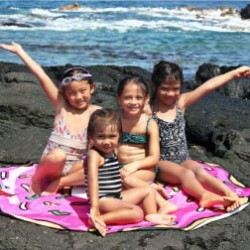 Features:Recommended Age: 2+ years Revomable sun shade with easy to use fasteners Soft in.. Features:2.13m x 86cm 2 air chambers Easily rolls up to carry 3 assorted colors Repai.. Features:Recommended age: 3+ years 1.83m x 1.02m Heavy-duty handles Repair patch Full color .. Features:Recommended age: 3+ years 1.50m x 1.14m Heavy-duty handles 2 assorted colors Repair.. Features:Recommended age: 3-6 years Inflatable bottom for extra comfort Two rope with bui..